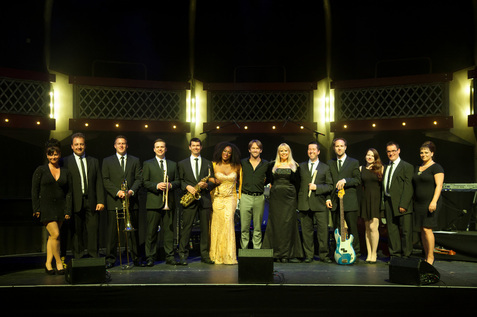 This show will celebrate the magical music of Burt Bacharach, one of the most accomplished popular composers of the 20th Century, who together with Hal David penned some of the most memorable and iconic hits that stand the test of time. This exciting production is touring throughout the U.K. from September 2015 and is performed by 3 of the finest West End singers accompanied by a live 10 piece band recreating Burt Bacharach's timeless hits. Songs featured in the show include Alfie, Anyone Who Had A Heart, Arthur's Theme, Always Something There To Remind Me, Close To You, I Say A Little Prayer For You, Magic Moments, Walk On By, What’s New Pussycat?, 24 Hours from Tulsa, Raindrops Keep Falling On My Head and many more. They are also proud to announce that Back to Bacharach have partnered with Breast Cancer Now, the UK’s leading breast cancer charity. Breast Cancer Now supports world class breast cancer research across the UK and Ireland and believes that if we all act now, by 2050, breast cancer will have taken its last life. That’s why Back to Bacharach are pleased to be supporting this worthy charity by donating £1 from each theatre ticket sold, and committing to raise a minimum of £10,000 by doing so. Their vocalists have performed all over the world most recently seeing them perform on tours with Strictly Come Dancing arena tour, Jesus Christ Superstar, The Phantom of the Opera, My Fair Lady, Miss Saigon, West Side Story and Whistle Down the Wind and their musicians are regular performers for BBC orchestras and various touring shows throughout the UK and internationally, as well as recording for many famous artists. *For more information on Breast Cancer Now’s work, visit breastcancernow.org or follow them on Twitter or on Facebook. If you would like to win a pair of tickets to see the show - go to our Facebook page and like the Back to Bacharach post and then go to our Contact page and fill in your details.